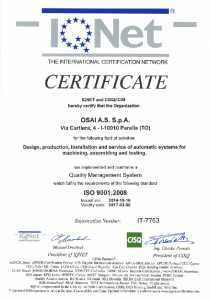 Every day, our staff is at work to guarantee compliance with set quality standards, with a single goal: to satisfy the needs and expectations of our customers. 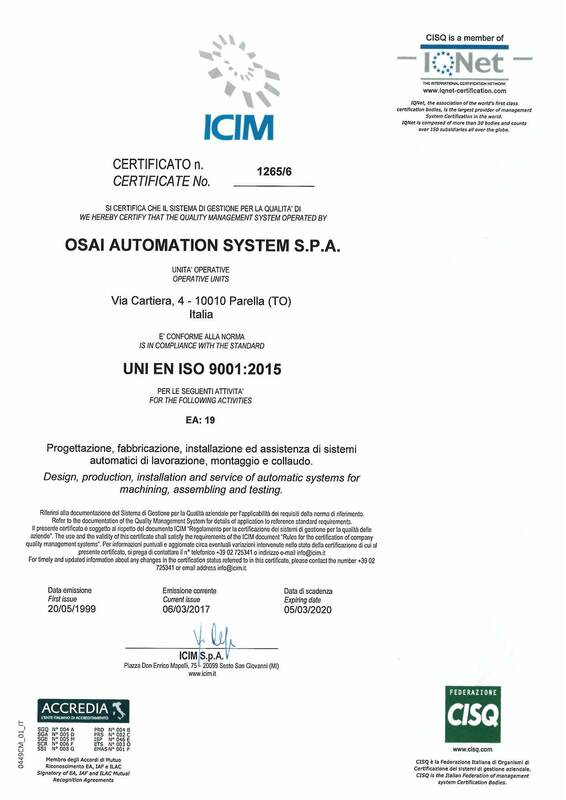 To maintain and guarantee this achievement, the company has put in place a Quality Management System, which is certified in compliance with the UNI ISO 9001 standard. Our constant, daily commitment allows us to pursue our goal of total customer satisfaction, with proven quality.